Decebal Gheorghe is leading the Site Operations for the manufacturing of sterile injectable and non-sterile products at the Montreal site. His background includes experience that encompasses pharmaceutical, medical device as well as aviation industries. He has over 15 years experience covering Manufacturing, Engineering, Maintenance, Continuous Improvement and Logistics. 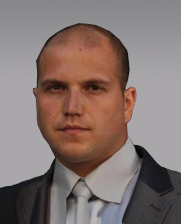 Decebal Gheorghe has experience in Lean Manufacturing and Six Sigma certifications.